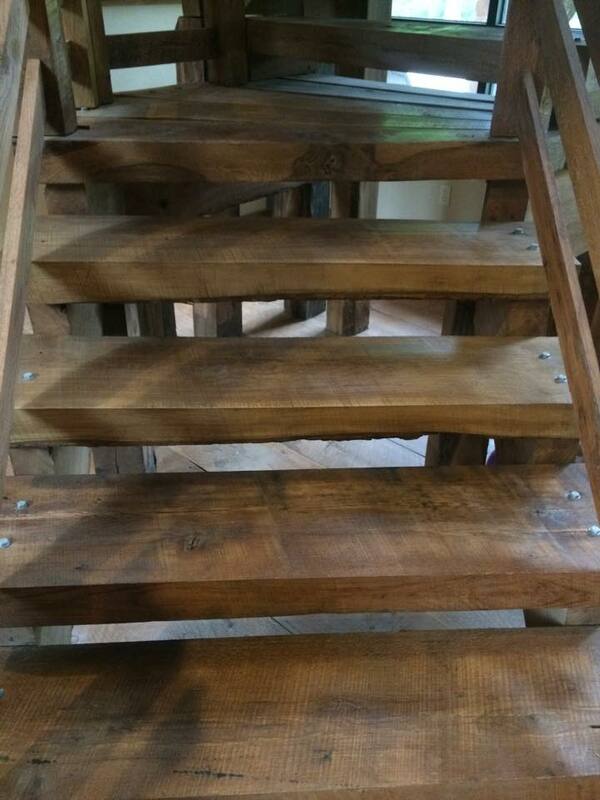 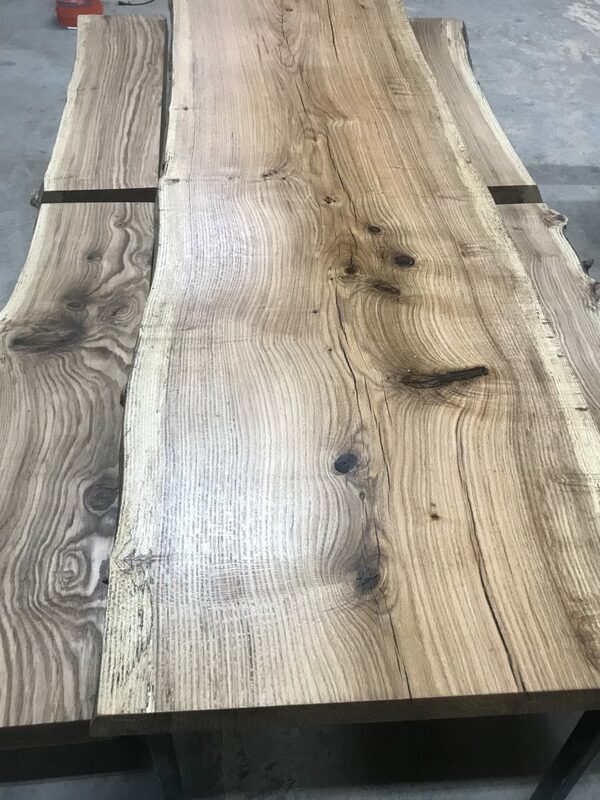 Every home or business should enjoy the unique tangible beauty which is provided in every unique slab of natural hardwood. 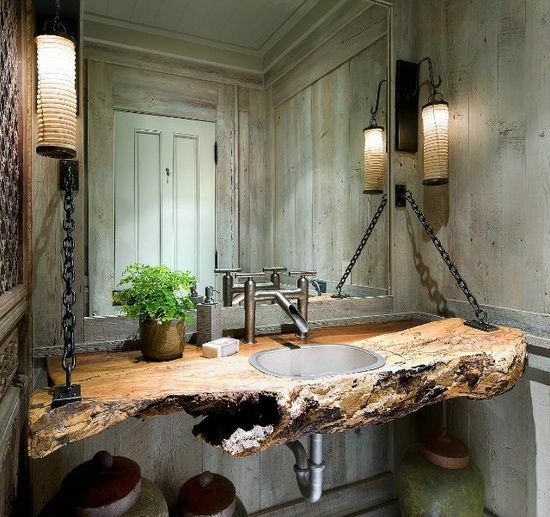 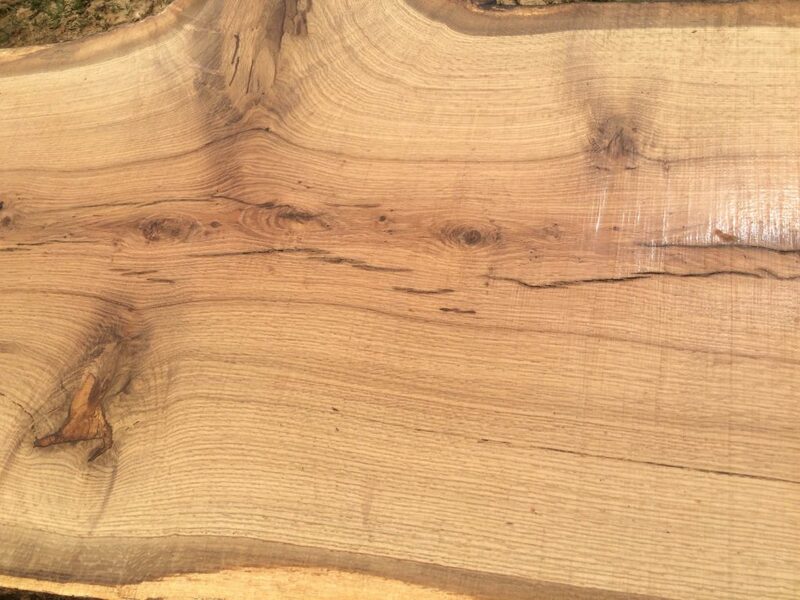 As a tabletop or on a kitchen or vanity counter we can provide you with your own unique hardwood slabs. 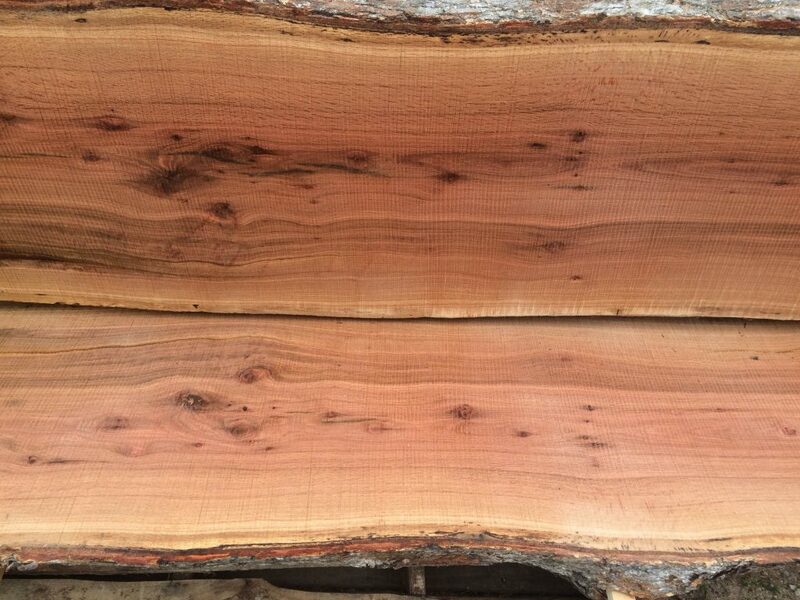 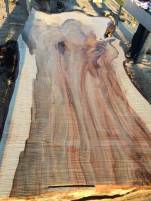 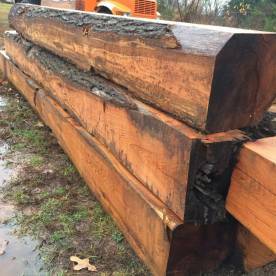 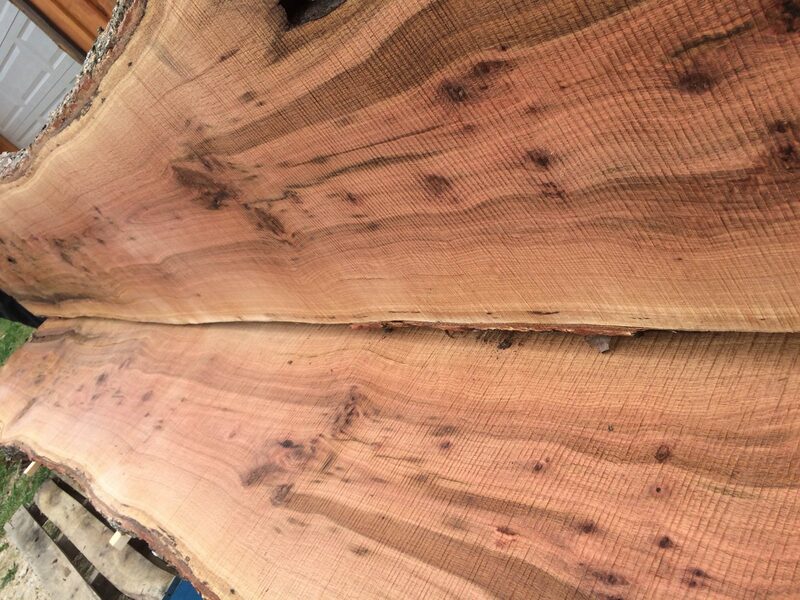 Our slabs are offered air then kiln dried or offered bundled as an entire tree. 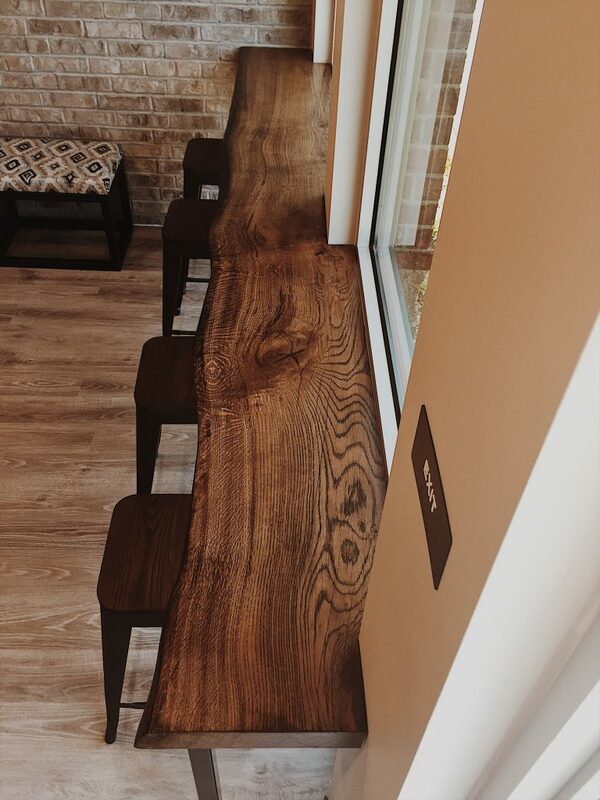 We call these sibling slabs which allow you to showcase the same tree on multiple surfaces. 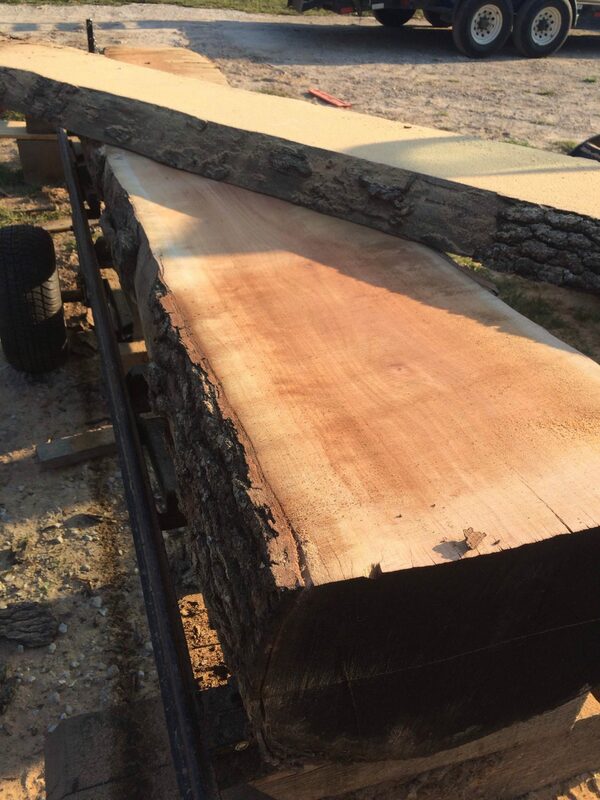 Our stabs are cut up to 60” wide and at lengths dependent on what the given tree will allow. 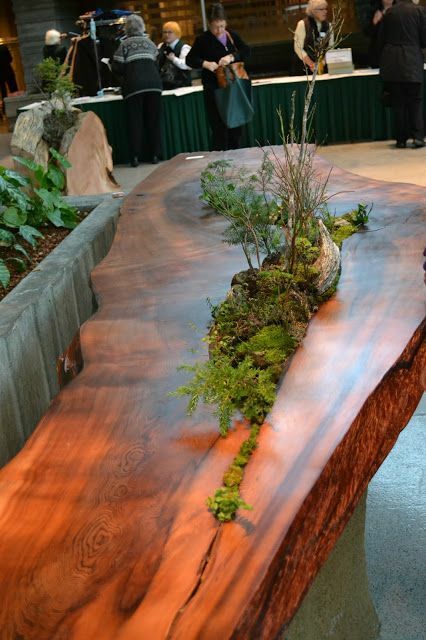 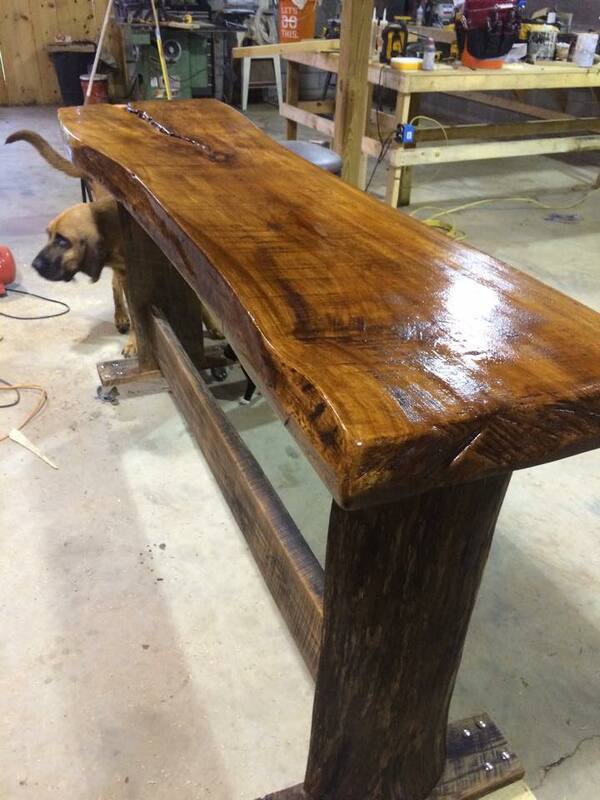 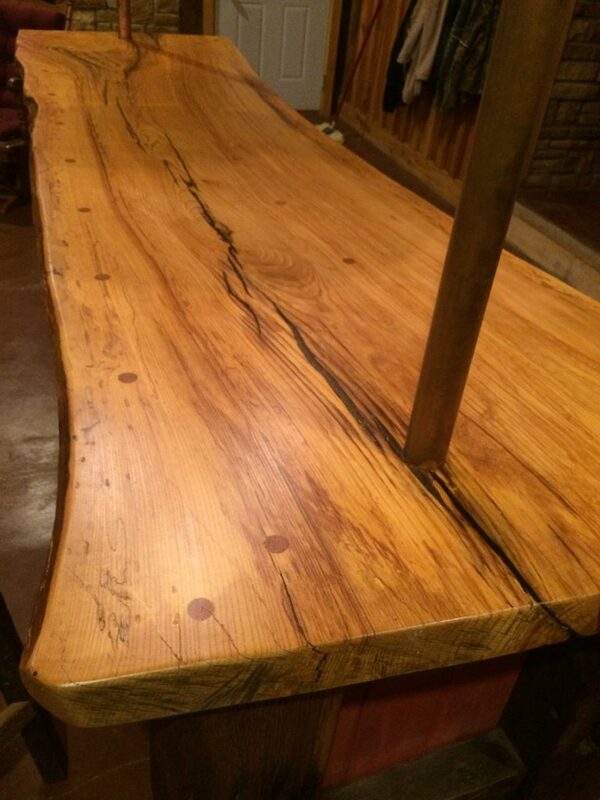 This is a custom table made from a large Maple tree in Springfield, Missouri. 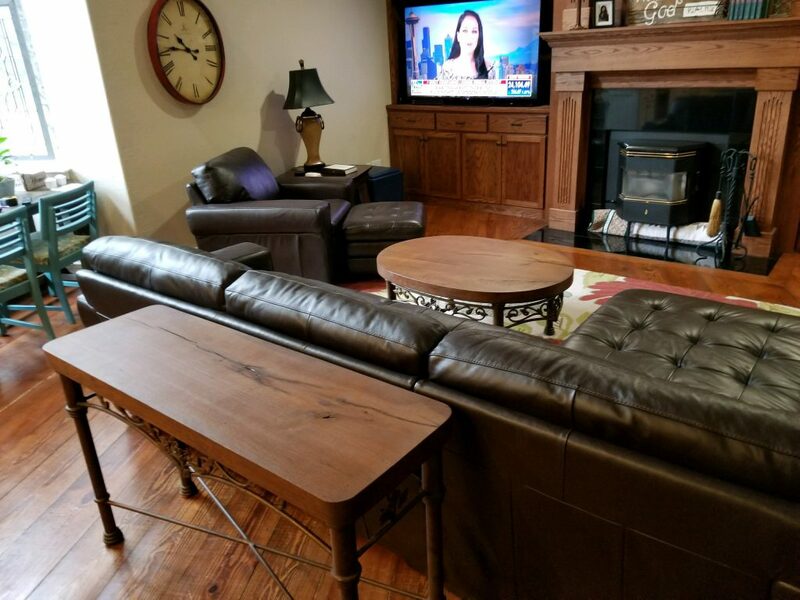 It is 80″ across and seats plenty of folks with room to spare. 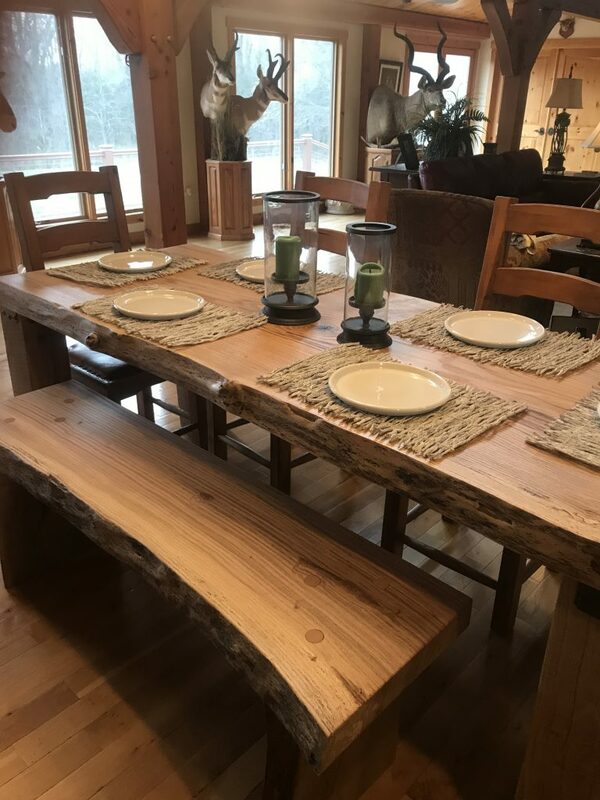 The table base is made from the same tree and is nicely joined together. 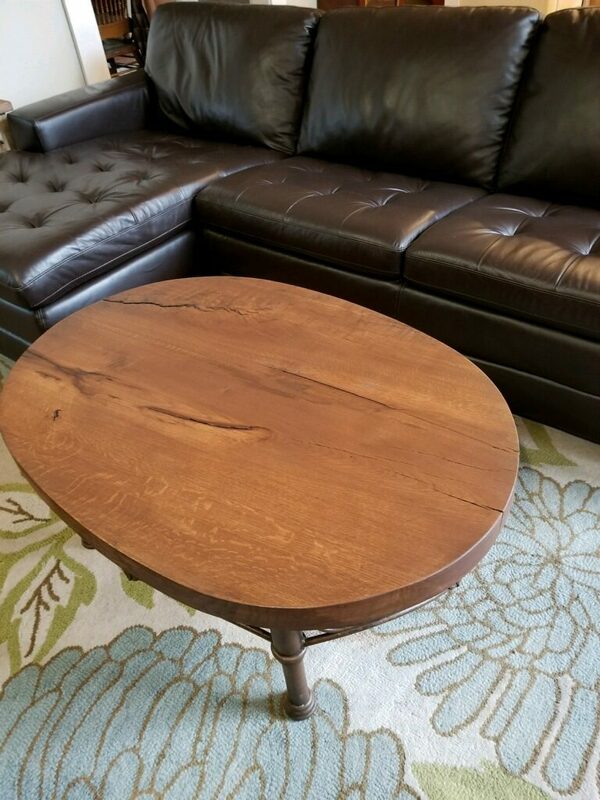 The structured square base is a nice compliment to the round top. 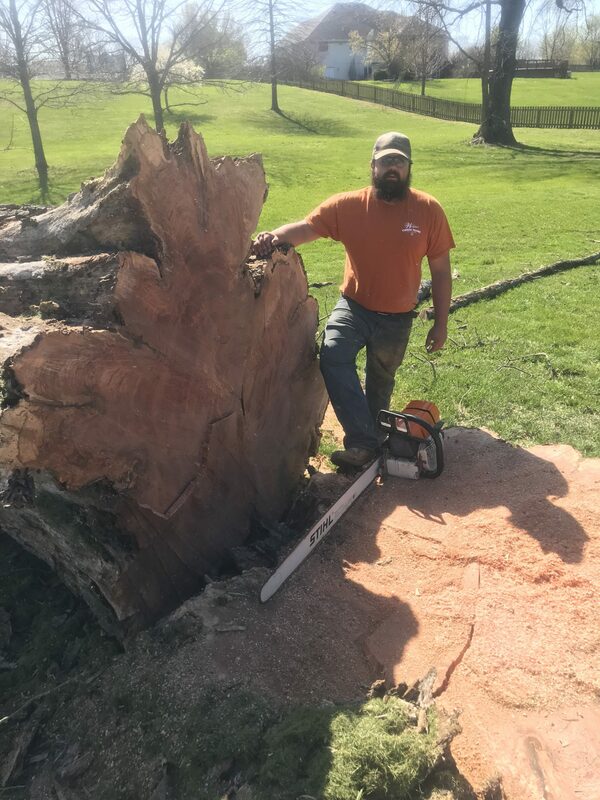 Best of all, we saved the tree from being chopped up and turned to mulch. 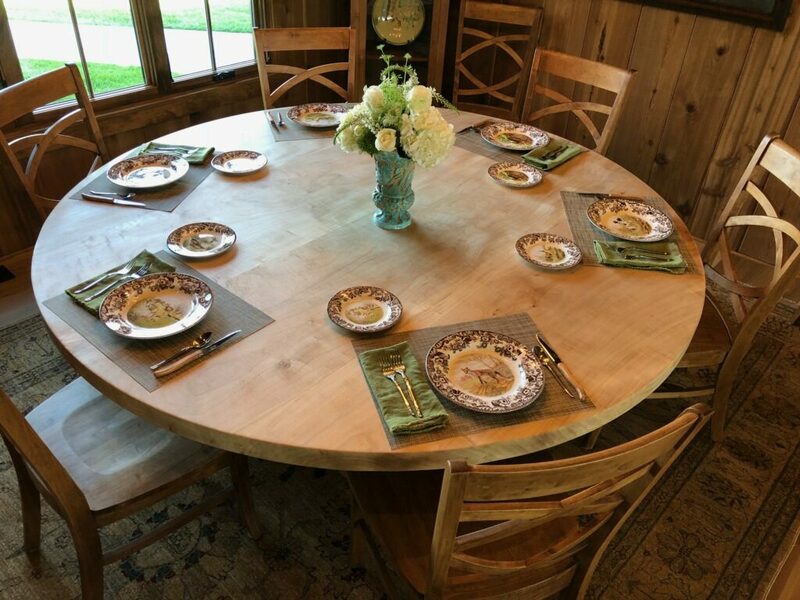 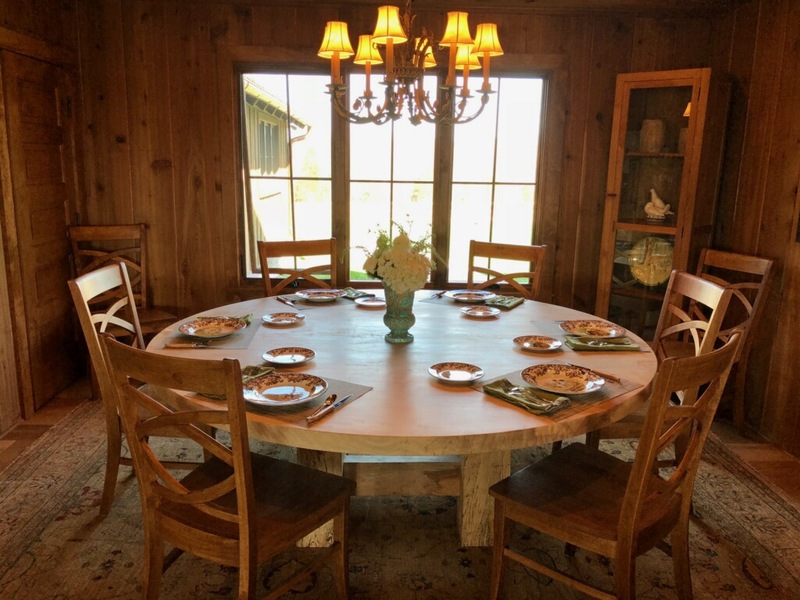 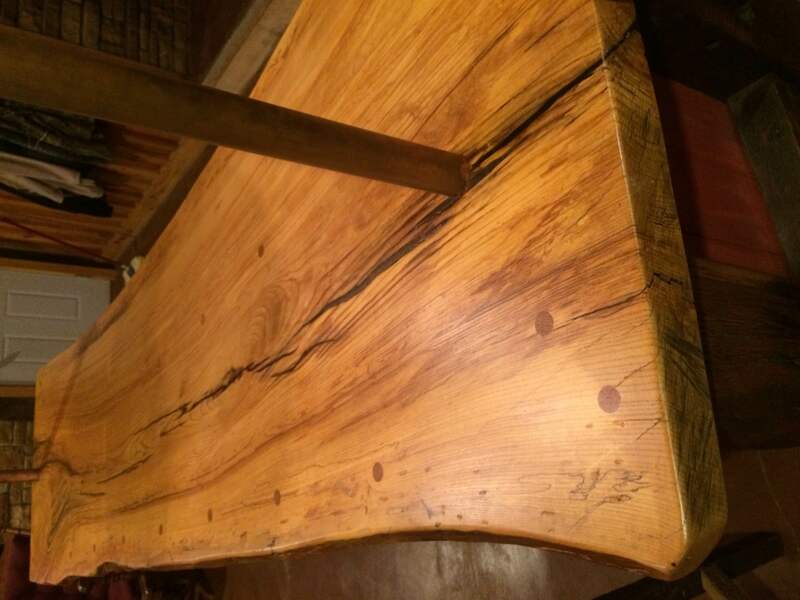 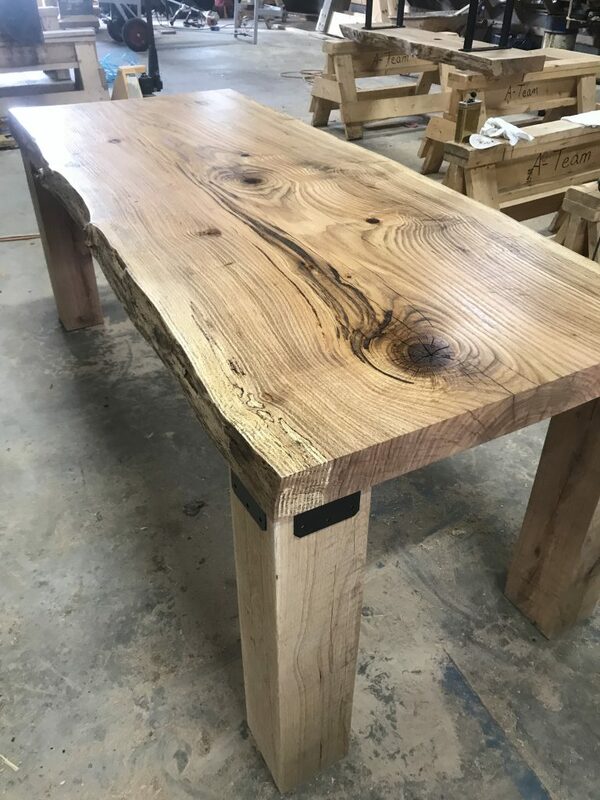 This single slab dining table is made from a beautiful Pin Oak tree. 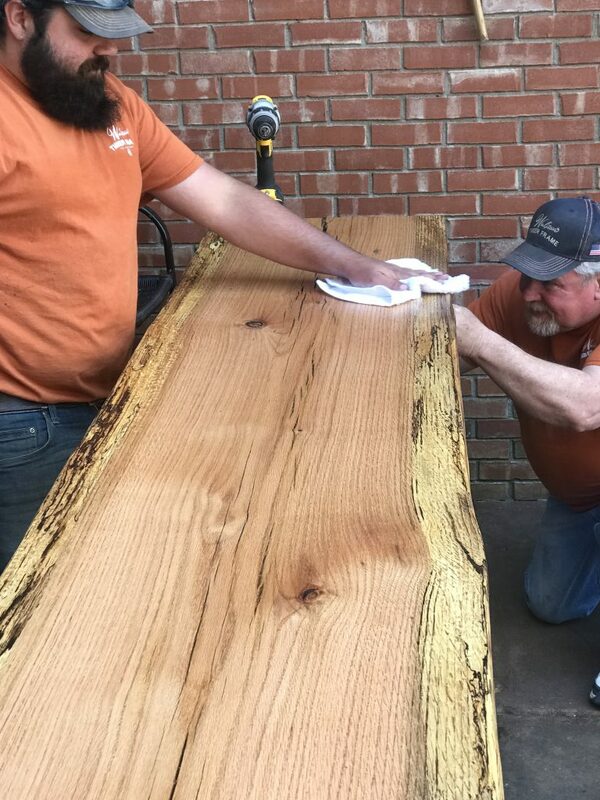 We picked this tree up from a construction site where a new home was being built. 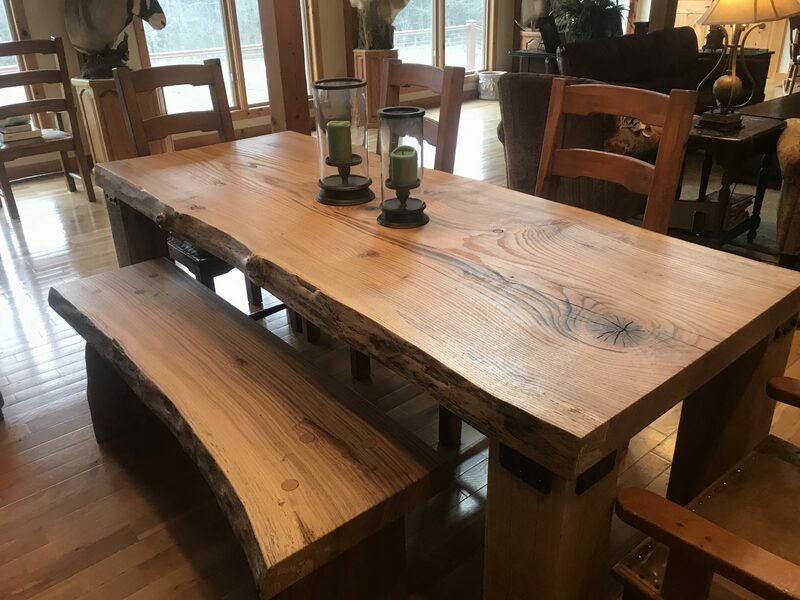 Its finished with clear sealer to bring out the natural beauty the Pin Oak offers with its large grain and rustic character. 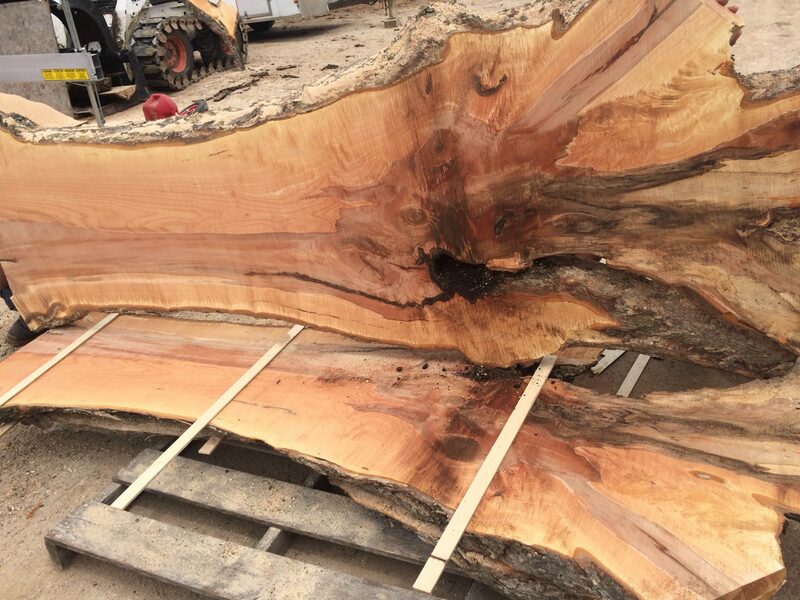 Do you have a large Heirloom Tree which is dying but you’re not ready to part ways with it. 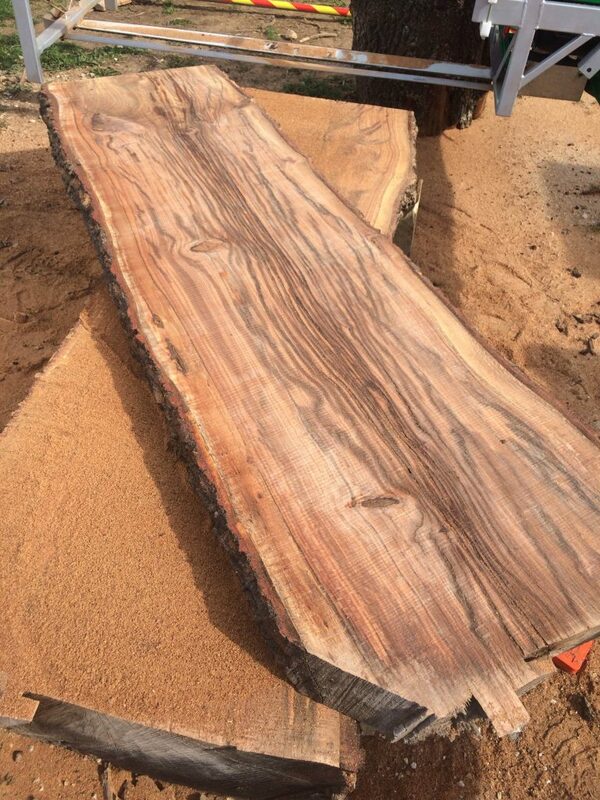 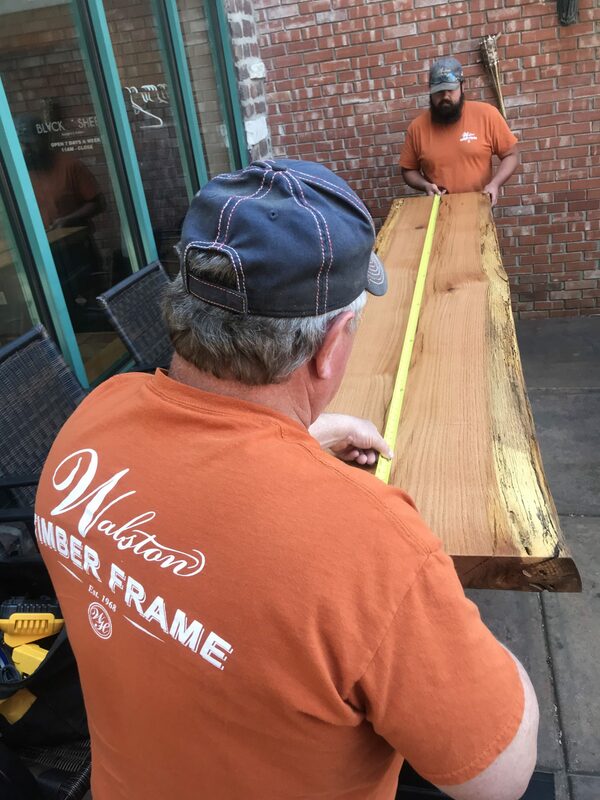 We can custom cut your large precious tree into slabs for you to enjoy for many more generations. 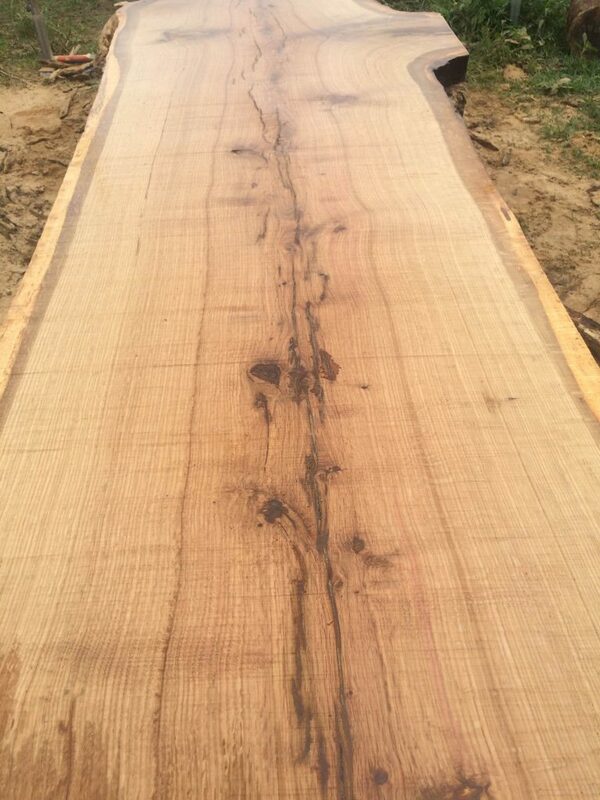 Take a look at this impressive Northern Red Oak. 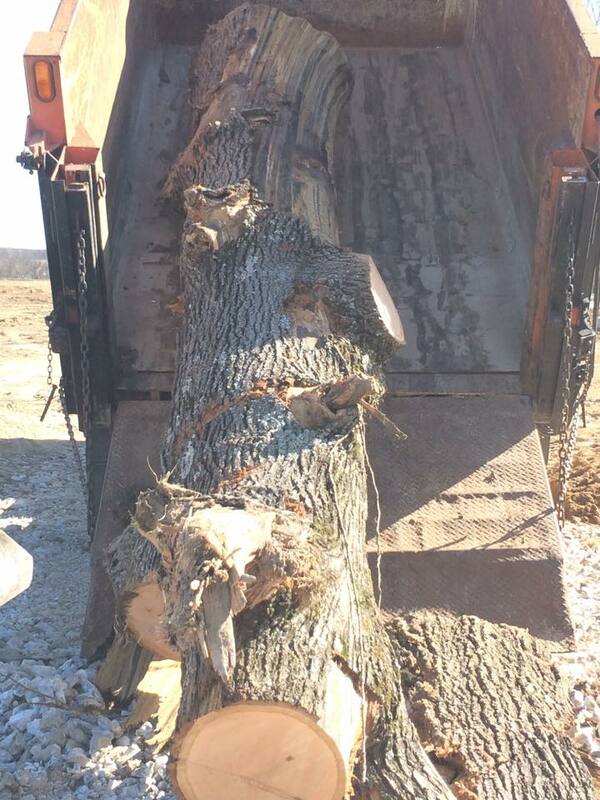 Ethan dropped this tree in Ozark Missouri. 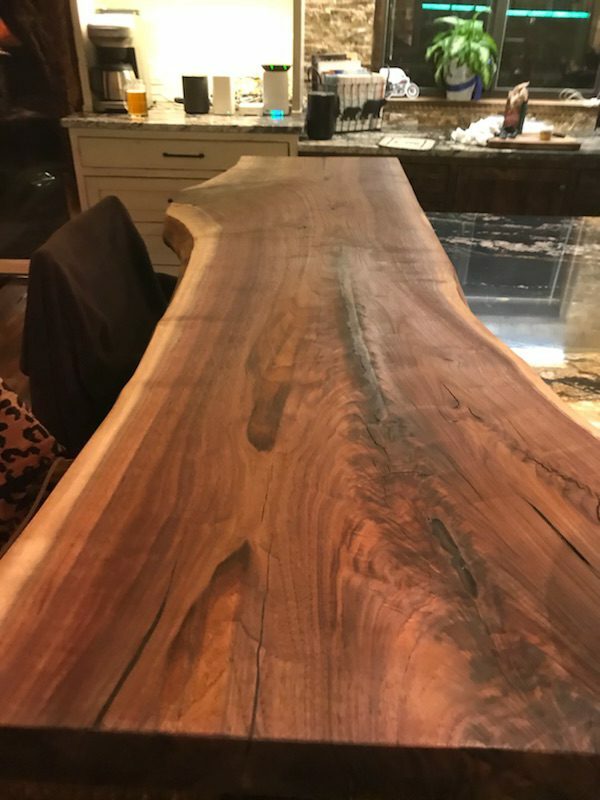 It’s 5’ across on average and over 20’ long. 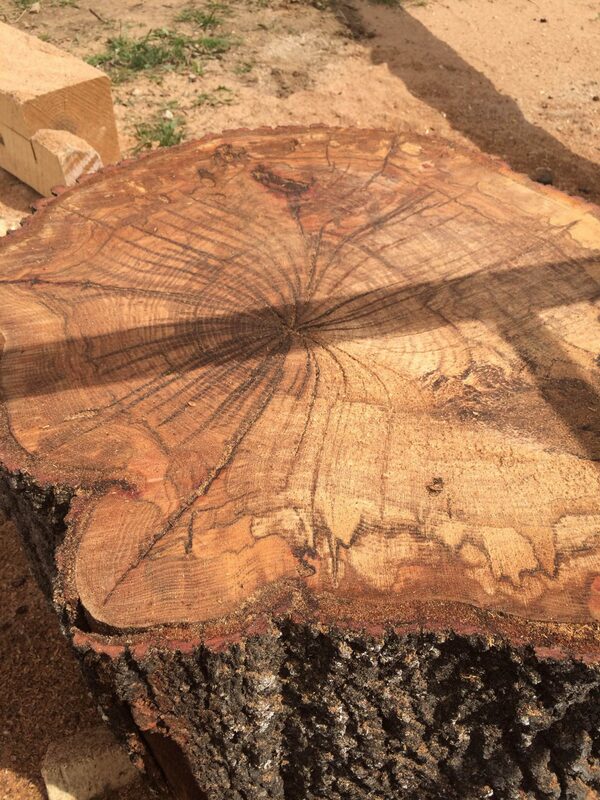 It was here long before the civil war and even before the birth of our country. 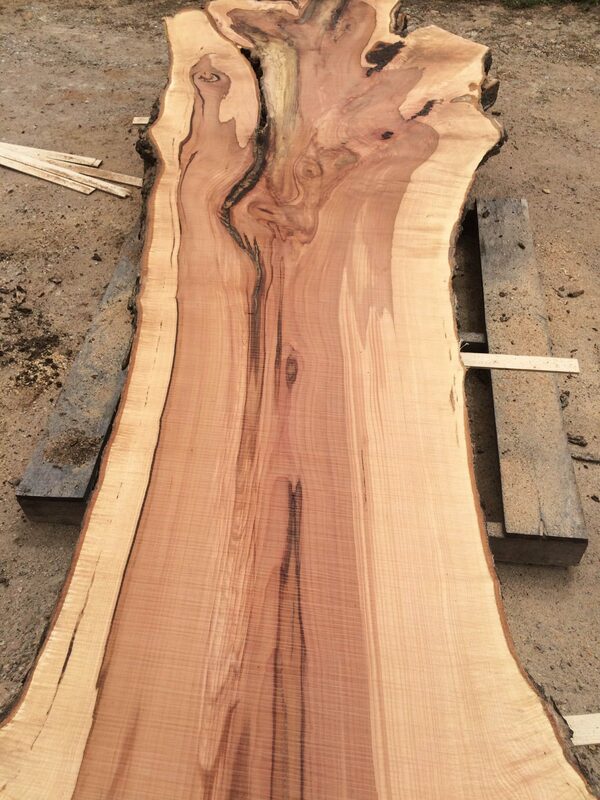 This tree is now available so if your looking for a really big table, this may be the one for you. 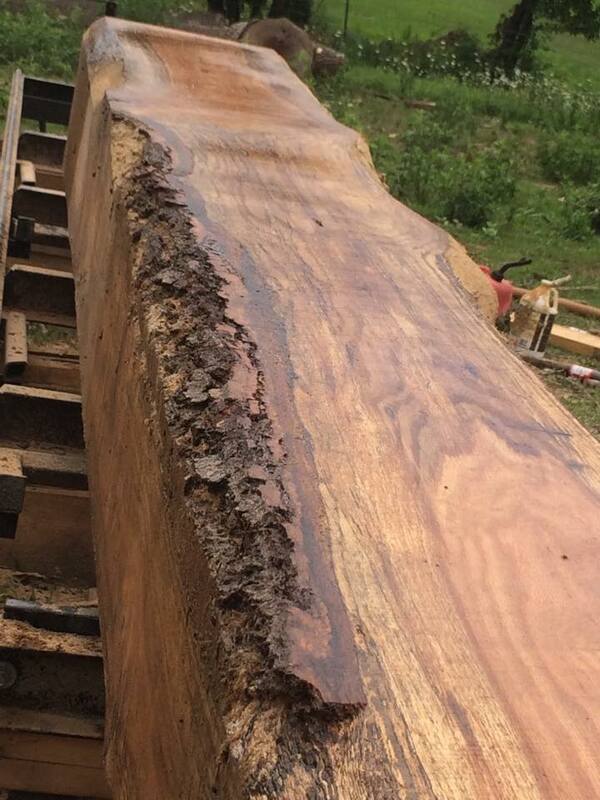 Finishing a Black Walnut piece never gets old. 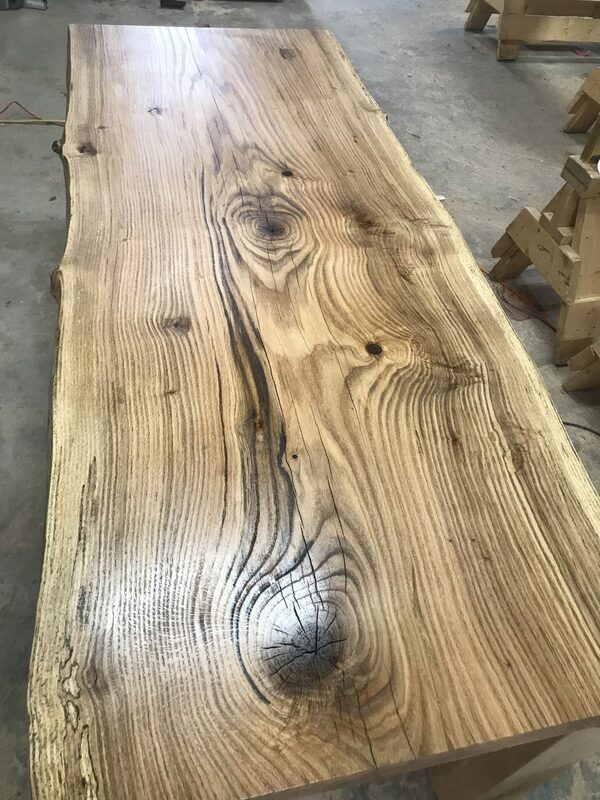 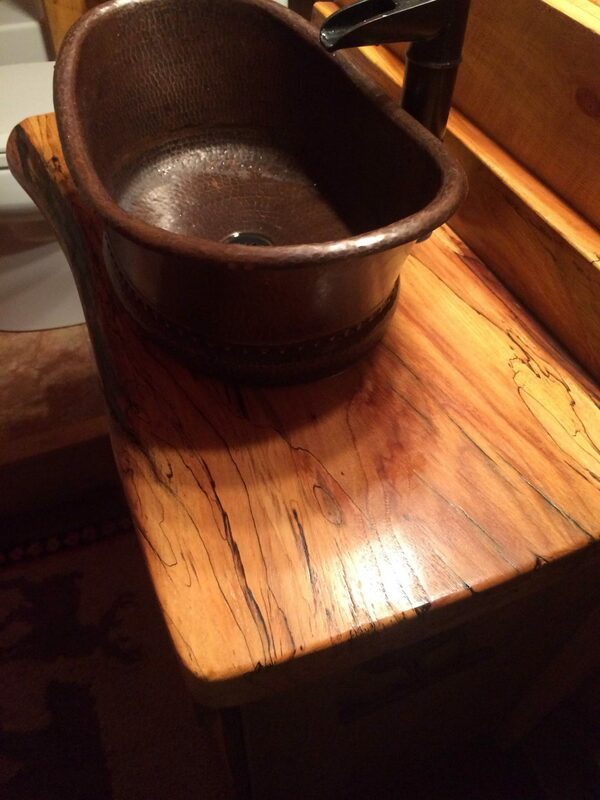 This piece was brought in as a log by the customer. 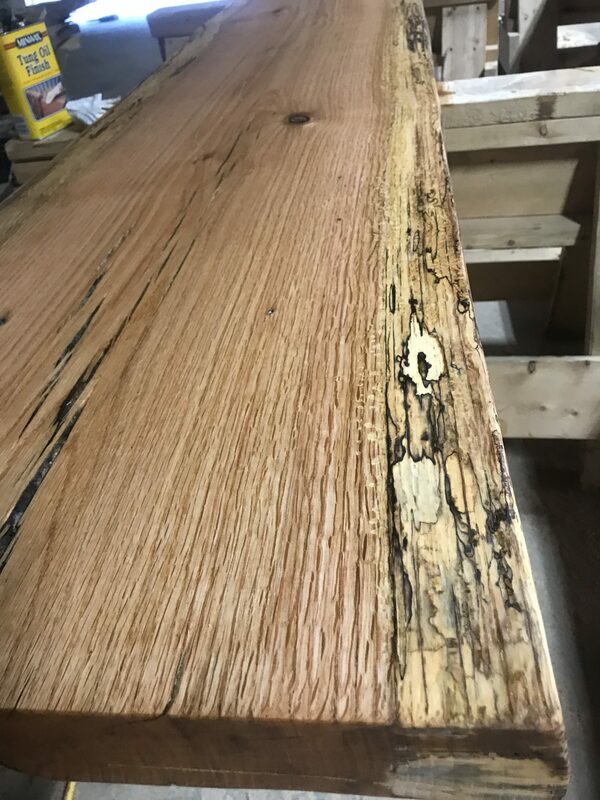 We slabbed it up on my old sawmill, kiln dried it and gave it new life. 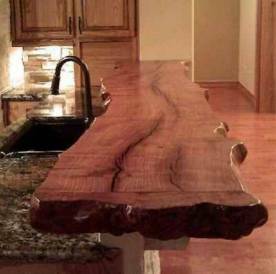 The tree was from his family property and made a nice raised bar in the kitchen area. 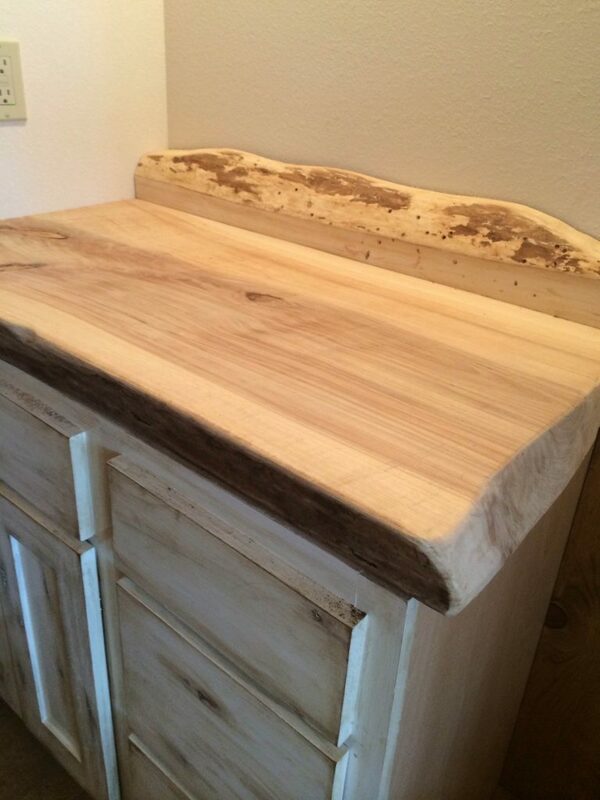 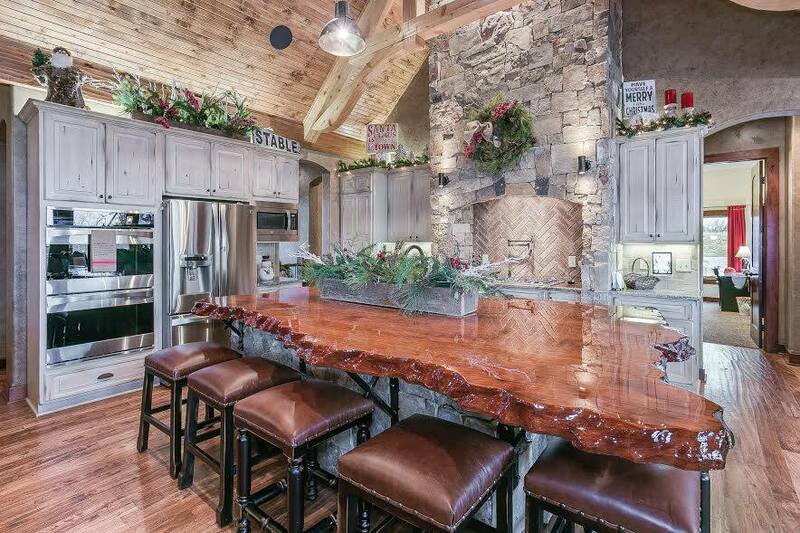 A Soft Maple center island is a nice tough to this center island in a charming farmhouse in Rogersville, Missouri. 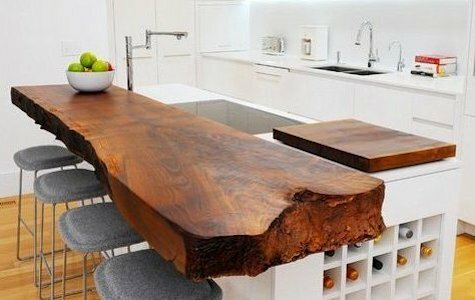 The live edges provide a natural element which compliments the kitchen very well.